This reflection process can be used at the end of a bend or drafting sessions. 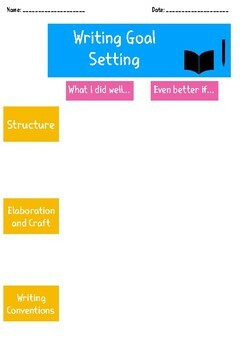 This document encourages students to reflect on their writing and set reasonable goals moving forward in the writing process. It can be used for any genre, and focuses on naming "What went well," and "Even better if" within the structure, elaboration/craft, and conventions of student writing. Students can use it as a tool when they continue to move through their writing to help guide the process.